Again, here are the relevant nominees from Deadline, re-ordered to suit my priorities. 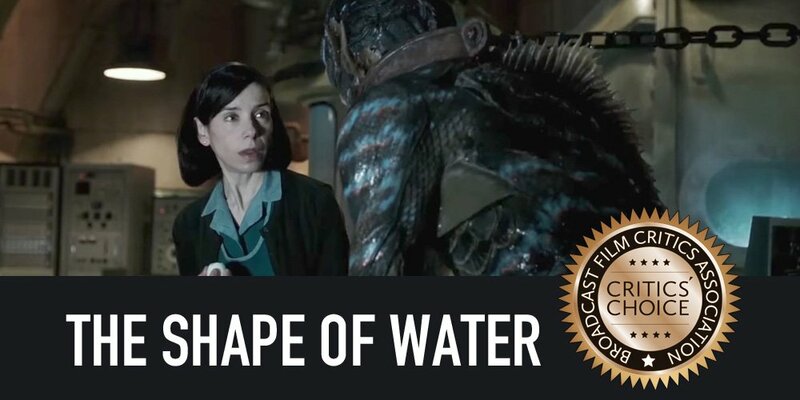 While I think "The Shape of Water" is likely better than "Get Out," I suspect neither will win. Since it came out in August, I thought the surefire Oscar nominee was "Dunkirk" and I still do. It will also likely be nominated as an action film for the Saturn Awards. However, I'm not so sure it will win. "Darkest Hour" is likely to pull some votes from it. Also, "Call Me by Your Name" and "The Post" are getting buzz and the latter is the kind of political film that might win this year. While I'm confident that "The Shape of Water" will win this, that there are only four nominees in a year full of speculative fiction films reminds me of something I left in a comment to Video of the day -- ruining the Alien at Infidel 753's blog. As for "Alien: Covenant," it's a weak entry in a large field of merely average science fiction films released so far this year. It's currently the seventh highest grossing movie in the genre for 2017 according to Box Office Mojo behind Guardians of the Galaxy Vol. 2, Kong: Skull Island, War for the Planet of the Apes, Transformers: The Last Knight, Power Rangers (2017), and Blade Runner 2049. It will end up in eighth before Christmas, as Star Wars: The Last Jedi will pass it in one weekend. That written, it will very likely still be on the ballot as Best Science Fiction Movie at the Saturn Awards next year (I'm a voter), as Guardians of the Galaxy Vol. 2 will be nominated as a Comic Book Movie Adaptation, while Kong: Skull Island and Power Rangers (2017) might be nominated for either Fantasy or Action. The sixth nominee will likely be one of Ghost in the Shell (2017), Valerian and the City of a Thousand Planets, or Life (2017). Even before the movie is released, I know I'll be voting for Star Wars: The Last Jedi. It's that kind of year. Looks like the critics agreed with me that there were a lot of mediocre science fiction films this year. As I wrote earlier, I think "War for the Planet of the Apes" should have been nominated in Sci-Fi or Horror instead. in its place I'd have been happy to see "Guardians of the Galaxy, Vol 2," "Kong: Skull Island," or even "The Fate of the Furious." That's one I expect to be nominated with a bunch of Superhero flicks at the People's Choice Awards, not "Baby Driver." On the other hand, I expect both to be nominated as action films at the Saturn Awards. Out of this slate, I'd vote for Gary Oldman. There is nothing like a good Winston Churchill. Meryl Streep has the name, Frances McDormand has the performance, and Jessica Chastain and Margot Robbie have the stories. It should go to McDormand, but Streep might pull it off. If Sally Hawkins wins, I'd be very surprised. She might have a better shot at the Saturn Awards, except that I expect her performance will be subtle and the Saturn voters don't like subtle. They'll probably vote for Daisy Ridley instead. I hear the acting in "Call Me by Your Name" is excellent and I'd favor Armie Hammer over his co-star. Still, they might split their vote so Willem Dafoe or Sam Rockwell wins instead. Octavia Spencer is an outstanding actress, but I think this might go to Allison Janney or Holly Hunter in a rare case of comedies beating dramas. Jacob Tremblay is my pick, even if I think they're all wonderful. If it were split between actors and actresses, I'd say Brooklynn Prince would get the young actress win. I made the following prediction about "Battle of the Sexes" on my Dreamwidth. Predictions: "Battle of the Sexes" will be nominated for a Golden Globe for Best Comedy Movie. Emma Stone will be nominated for Best Actress in a Comedy Movie. Steve Carell will be nominated for Best Actor in a Comedy Movie. With three months of releases still to go, it's too early to post odds on their winning. It's also too early to make bets on their Oscar prospects. 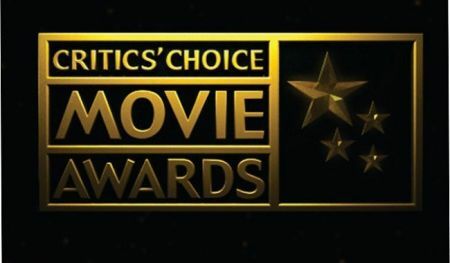 It's the Critics' Choice Awards, but two of the three came true here, as Emma Stone was indeed nominated for Best Actress in a Comedy. Because of this, I think Carell is the favorite, but Nanjiani might pull this one out, as "The Big Sick" is a smart comedy about a tragic subject. The three big names are Del Toro, Nolan, and Spielberg, although Peele might pull an upset. I'm rooting for Nolan. "The Big Sick" is as much a message movie as "Get Out" but it's also a smart comedy. That might be enough for it to win. As much as I'm rooting for the science fiction films, I think "Dunkirk" would be the favorite. "Murder on the Orient Express" only has this one nomination, but it deserves it. It might be enough to win, although I would be rooting for "Beauty and the Beast" otherwise. I'm rooting for the science fiction movies, but I expect "Dunkirk" might win. Four of the five nominees are speculative fiction, so genre films are doing well in this category. Out of all of them, I'd root for "Wonder Woman" or "Beauty and the Beast." However, "Phantom Thread" is about fashion, so it might just pull this one out. I think "Wonder" might win just on the strength of its prosthetics. However, I think either "Beauty and the Beast" or "I, Tonya" have better hair. My favorite is "Wonder Woman," but all of these films deserve their nominations, so I'm not calling this category. My favorite is "The LEGO Batman Movie," but I think "Coco" will win. "Thelma" is the speculative fiction movie, but "PBM" has the positive message and "The Square" has Elizabeth Moss. That written, I have no idea. I think "Stand Up for Something" is a prohibitive favorite. It's already nominated for a Grammy as well and I expect nominations for a Golden Globe and Oscar, too. I think "Dunkirk" might pull this one off here. Its score will be nominated at the Saturn Awards so long as "Dunkirk" is nominated as an action movie. That's it for the movies. Stay tuned for the television nominees after a post about the Nobel Prize winners. *The 2017 Grammy Awards don't count, as so many of their nominees are from the previous year that they're as much the last shot of the previous crop of eligible works as the the first of this year. For this year's movies and TV shows, the Grammys serve as a ranging shot, not the opening salvo of a barrage.